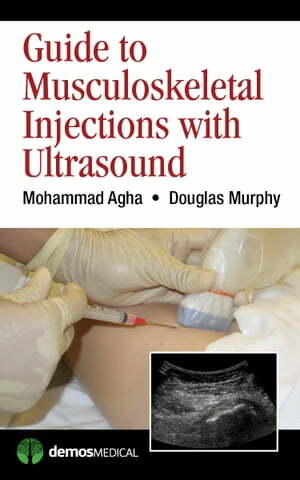 Collins Booksellers - Guide to Musculoskeletal Injections with Ultrasound by Mohammad Agha, MD & Douglas Murphy, MD, 9781617052330. Buy this book online. This practical handbook covers all types of ultrasound-guided injections of the joints and tendons. Designed for use primarily by trainees and new practitioners, the guide bridges the gap between the early steps of learning to perform injections and applying that knowledge to patient care. With its concise, user-friendly format and bulleted instructions, the book allows practitioners to quickly access precise information for performing procedures at the point of care. High-resolution photographs illustrate marking and probe placement, while ultrasound images walk you through needle visualization on insertion and at target. Chapters highlight key information that enables injectors to confidently execute basic skills and also flag potential pitfalls that can cause an adverse outcome. While focused on the most common procedures for peripheral joint problems, the book also covers selected injections for spine disorders and introduces some more advanced ultrasound-guided injections. Indications, suggested medications and dosing, approach (in-plane/out-of-plane), bulleted description of the procedure, lists of structures to avoid, and clinical pearls and tips are provided for each injection. Written by expert authors, this guide will be indispensable to new practitioners building proficiency and more experienced clinicians who wish to refresh their knowledge performing ultrasound-guided procedures.